At last, the day came when I said ‘Vida’ (farewell) to the city of Sahibzada Ajit Singh Nagar, generally known as ‘Mohali’. I was more or less two years old, when my father late Bhai Avtar Singh Ji was appointed the head priest in Gurdwara Sri Guru Singh Sabha, Phase first of the city of Mohali. So, he moved to this city with our family. The God Almighty gave me so much throughout my stay in this city. I am forever grateful to Him for his blessings. The God Almighty, at the same time, took away from me all the family members and other close relatives, one by one. After 35 years of my stay in this city, I became ‘the one member family’. We have got to accept the Will of the God. 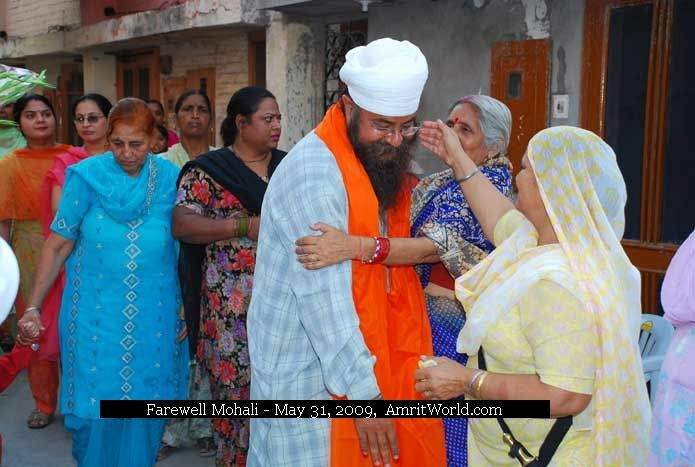 After staying for 35 years in the city of Sahibzada Ajit Singh Nagar (Mohali), I decided to say Good Bye to it. I am very thankful to the God Almighty, Who gave me the opportunity to live in this city for so long. I am very thankful to the city of Sahibzada Ajit Singh Nagar (Mohali), which is indeed a beautiful and lovely city to live in. I am very thankful to residents of the city, who are kindhearted and caring. I am very thankful to all my neighbors who were always ready to lend a hand to me. I am very thankful to all of my friends and well-wishers living in this city, who sided with me in my difficult times. May the God Almighty bless the city of Sahibzada Ajit Singh Nagar (Mohali) and all of its residents! This entry was posted in Uncategorized on May 17, 2010 by admin.